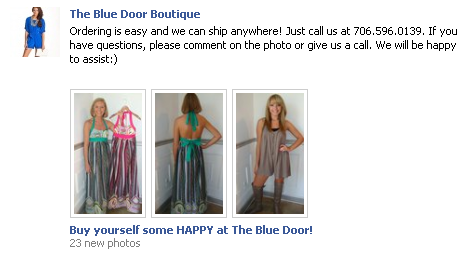 Words cannot begin to describe how obsessed I am with this clothing boutique. Obesessed. Just obsessed. 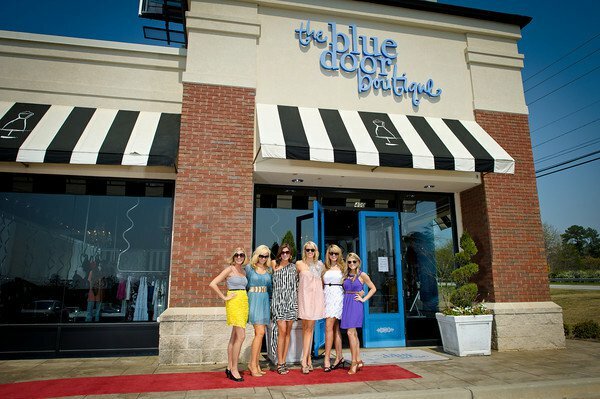 My blogger friend Emily of Dresses, Denim & Diaper Bags coined the phrase, 'I adore the Blue Door!'. I couldn't agree more. Believe it or not, it's in GEORGIA. And I've never been there (which breaks my heart. And Emily's). This place appeals to my fashionable side. Amber, the owner, interned with Max Azria and puts her heart and soul into selecting each and every item for the store. This boutique appeals to my sensible side. They have items that range up to $250 from what I've seen, but the vast majority of their items fall under $100. Everything I've gotten so far is great quality. 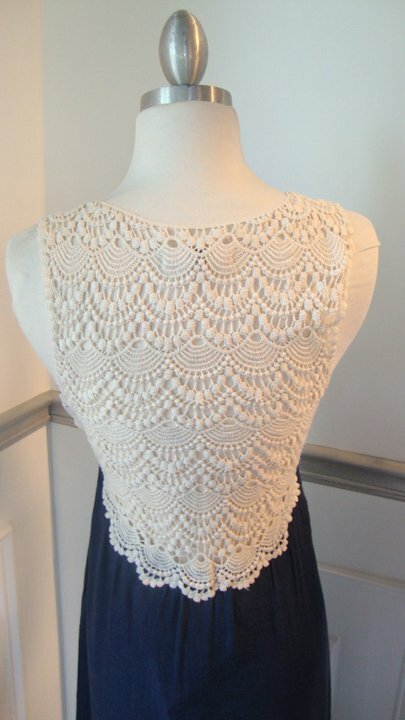 This little number? Only $34! Facebook. Every day, these ladies model, photograph, and post pictures of their latest merchandise. This platform is perfect for allowing the boutique's personality to shine through, which is one of their greatest assets. You can tell that each and every one of them loves what they do. And why wouldn't they? I want to be them! The Blue Door appeals to my competitive side. (Please remember I openly admitted that I'm obsessed with this place when I tell you this.) They post pictures every day. They usually start uploading midday, so I often spend my lunch hour eating at my desk and catching the latest arrivals as they are posted. Why do I do this? First, as crazy as it may seem, it is one of the highlights of my day. Second, they can sell out in as little as 10 minutes (see: appeals to my business side), like this little number, affectionately dubbed the 'Emily' dress. As competitive as I am, it took a lot for me to share this with you. I want The Blue Door all to myself! But I love you enough, and I love The Blue Door enough that I just can't keep this to myself. The team of stylists at The Blue Door are great. I love calling and hearing their thick Southern accents - it makes me feel instantly loved. They're great help if I'm conflicted over what size to get. And I haven't had to send anything back yet! Aren't they all just gorgeous? The clothes AND the stylists. Now, before I forget, I need to call them and update my shipping address to my office before The Stallion catches wind of this and tries to put the kibosh on one of my favorite pastimes. You can find a link to The Blue Door Boutique on my facebook page. Love this post! I'm super obsessed with them too (as you mentioned). And I'm shocked at how rarely I have to ship something back to return. I think it's because the stylists are super honest and don't just try to sell yous something. They genuinely care about making sure you get the exact right fit, size, etc. I bought both of the items in those top 2 pictures (black romper and purple dress) and with both items, Amber actually offered to go try them on for me to be sure they would fit me (since we wear the same size, are the same height, etc.). Talk about customer service! I want to go to the Blue Door. More than anything. Carly - let's get a girls trip together and do a private shopping party there. Then we could model the clothes for a Facebook posting! I want to help write the captions, but I know I couldn't do it with the same enthusiasm and excitement that Amber does! There is no doubt in my mind that we will be making a trip to Georgia this year. Columbus is 100 miles from Atlanta. Maybe we rent a convertible!